Shireen L. Rizvi, PhD, ABPP, is an Associate Professor of Clinical Psychology, Director of the Dialectical Behavior Therapy Clinic (DBT-RU), and Clinical Associate Professor of Psychiatry at Rutgers University. She received her doctorate in clinical psychology from the University of Washington. She studied borderline personality disorder and DBT for more than five years under the direct mentorship of Dr. Linehan and worked as a research therapist in Dr. Linehan’s research lab, providing individual psychotherapy and skills training. Her dissertation research focused on the use of the DBT skill of “opposite action” to treat shame. She completed her predoctoral clinical internship at the Boston Consortium in Clinical Psychology and an NIMH postdoctoral fellowship at the National Center for PTSD at the Boston VA Healthcare System. Dr. Rizvi has written and presented numerous theoretical and research papers on BPD, DBT, and cognitive-behavioral therapy (CBT). Her areas of research and clinical expertise include shame, treatment development, trauma, and development of mobile technology applications to aid in skills generalization. 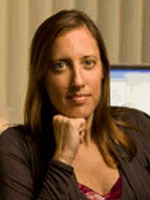 Her research has been funded by the National Institute of Mental Health, National Institute on Drug Abuse, and the American Foundation for Suicide Prevention.